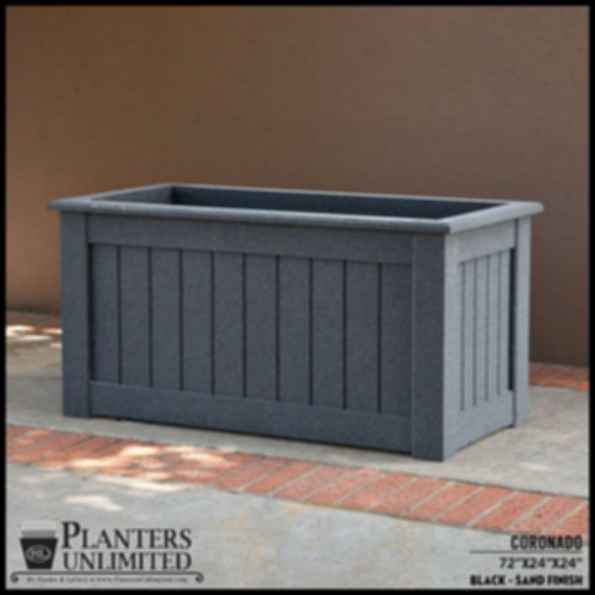 13w x 36d x 27h "
Coronado Premier Composite Commercial Planter These 36" long space saving planters help restaurant owners create outdoor dining space without taking up too much space. 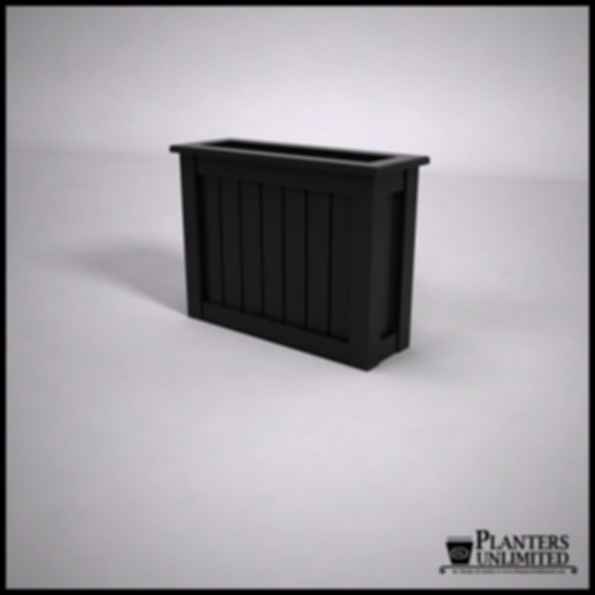 These planters are made from premier cellular PVC (architectural grade) that looks like real wood but has the durability of PVC. Premium Cellular PVC has roughly the same density of white Pine, but won't rot, crack, warp or twist under the challenges weather and water present. Further, insects want nothing to do with them and they are easily cleaned to their original bright white color. The Hotel Del Coronado, known for being one of the oldest wood hotels, has 15 of these planters painted and neither guests nor staff can't tell that these planters are not real wood. Premier cellular PVC can be painted any color using a high grade latex based exterior paint. We're able to custom make these planters with false bottoms (generally 15" planting depth) giving you irrigation and cost efficiencies as less water is required. 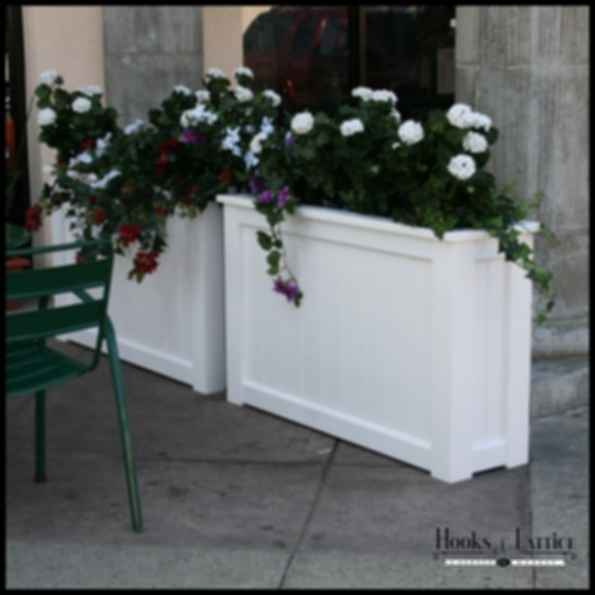 Planters Unlimited specializes in commercial grade fiberglass, cellular PVC, wood, and stainless steel planters in an unlimited variety of shapes, sizes, colors and finishes. New products include lightweight fiberglass reinforced concrete planters, and several specialty finishes including spray metallic finishes and faux wood finishes. All planters are made to order and we have an extensive array of options to meet your project needs including casters, false bottoms, liners, saucers, and self-watering reservoirs. Our fully integrated manufacturing capabilities allow us to bring to life the ideas of architects, landscape architects, designers, contractors, homeowners, and business owners.